Dolgelynen01654 702026work FarmhouseDolgelynen Farmhouse offers a comfortable and relaxing stay on a working sheep and dairy family run farm in the heart of the UNESCO Dyfi Bio-sphere. 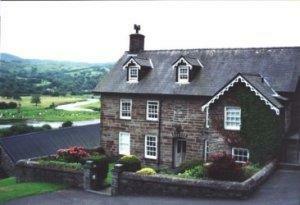 It is an ideal base for walking and touring Mid Wales and Southern Snowdonia. The farmhouse has a wealth of charm and character and overlooks the river Dyfi with wonderful views, peace and tranquility. Dolgelynen Farmhouse offers a comfortable and relaxing stay on a working sheep and dairy family run farm in the heart of the UNESCO Dyfi Bio-sphere. 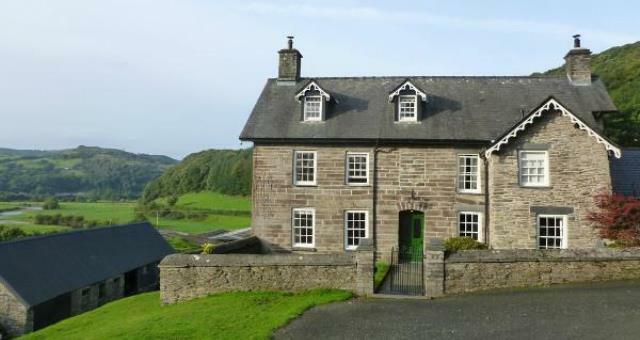 It is an ideal base for walking and touring Mid Wales and Southern Snowdonia. The farmhouse has a wealth of charm and character and overlooks the river Dyfi with wonderful views, peace and tranquility. The accommodation offers a traditional homely atmosphere, Welsh speaking hosts and bedrooms decorated to a high standard with full facilities including tea/coffee tray, private/ en-suite bathroom, television and hairdryer. The guest lounge has many books, maps etc, also a piano with a selection of traditional and modern Welsh music. From Machynlleth follow the A487 (Dolgellau) for 1/2 mile. On crossing Dyfi Bridge take the immediate left hand turn towards Aberdyfi and Tywyn (A493). Take first turning left (1 mile from bridge), at farm lane entrance signposted Dolgelynen. Follow the river for 1 mile and drive up the short hill to the farmhouse.